Think you can whip up a food frenzy and host a dinner party like no other? Think you’ve got what it takes to walk away with a £1000? If so, you could soon be part of the nations most favourite teatime show. The shoot will take place between the 12TH FEBRUARY – 16TH FEBRUARY. 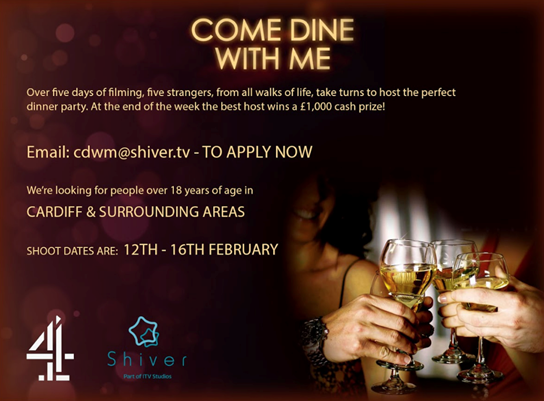 To apply please email cdwm@shiver.tv with your name, age, contact details and postcode.